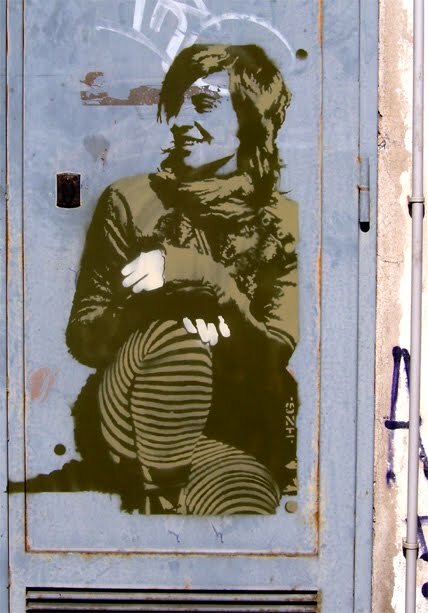 Here's a new stencil by -HZG- of a 30+ indie chick in striking olive green and brown. And zebra tights. Looks a little like Feist. Wondering if she'll release another album after The Reminder. Just no more '1234'. That song got so old so quick.